SHERRY B DESSERT STUDIO WORKS WITH COMPANIES, LARGE AND SMALL, FOR ALL TYPES OF CORPORATE ORDERS AND GIFTS. 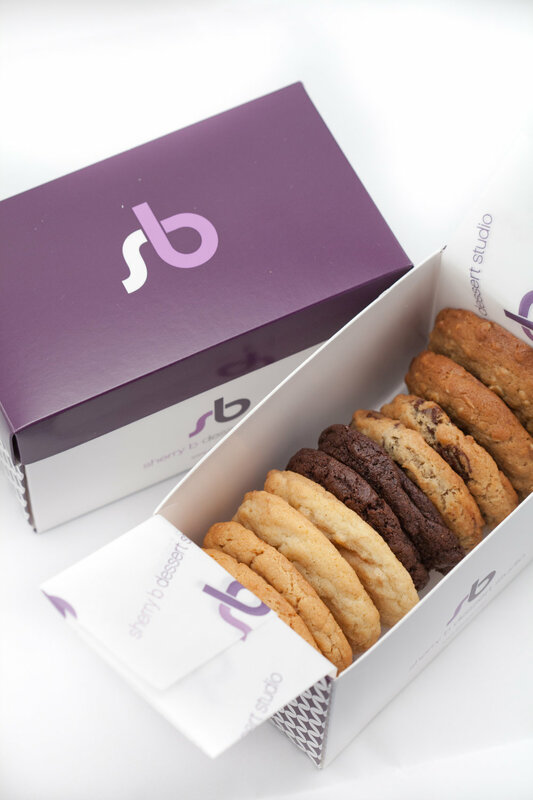 WHETHER YOU ARE CELEBRATING A COLLEAGUE’S BIRTHDAY IN THE OFFICE NEAR OUR NEW YORK LOCATION OR YOU ARE SENDING HUNDREDS OF HOLIDAY GIFTS FROM COAST TO COAST, WE CAN HELP YOU SAY IT WITH SWEETNESS. WE ARE HAPPY TO INCORPORATE YOUR BRAND AND LITERATURE INTO OUR PACKAGING AND COLLATERAL MATERIALS AND WE CAN, OF COURSE, INCLUDE PERSONALIZED GIFT NOTES FOR RECIPIENTS ACROSS THE COUNTRY. CHECK OUT OUR COLLECTIONS OR EMAIL US TO CREATE SOMETHING UNIQUE FOR YOUR COMPANY.